Earlier this month, Valoya, the manufacturer of high end LED grow light solutions has introduced Valoya Canna+ to the market – a line of LED luminaires with an ultra-wide spectrum designed for professional cultivation of medical cannabis. As a company specialized in fine tuned spectra development, Valoya has independently tested and optimized Valoya Canna+ through a series of trials. The result is a balanced spectrum for consistent yields and cannabinoid expressions inside state-of-the-art LED luminaires. Valoya Canna+ is the widest spectrum available on the market at the moment covering the range from 380nm (UV-A) to 780nm (Far red) thus resulting in superior cannabinoid profiles. The order is of 6400 pieces of Valoya Canna+ 120 fixtures which are high intensity, 4’ (120 cm) long bars that with 132 W produce a total output of 320 µmols. Delivery of this order is due before the year end. “This 7 figure order comes less than a month after the product launch giving a good signal about the value the Valoya Canna+ line brings to the medical cannabis market. As the cannabis market is developing so are growers’ needs for solutions enabling them to bring superior offerings to the market. 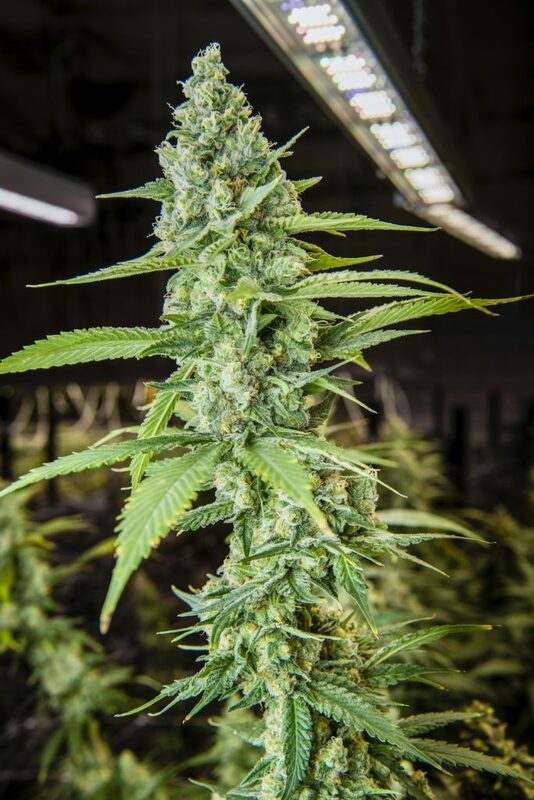 Cannabis growers are looking for high yields with superior secondary metabolite and terpene compositions with fixtures that do not consume much energy and are reliable.” – Mr. Rabbe Ringbom, VP Sales and Marketing at Valoya. The order is realized through Innovative Growers Equipment (IGE), Valoya’s North American distributor for the cannabis market. IGE is the premier equipment supplier to commercial growers in North America. Their products include ebb and flow and expanded metal benches, Valoya’s LED grow lights, plant support systems, automated fertilizer injectors etc. Valoya and Innovative Growers Equipment will be exhibiting at the MJBizCon Las Vegas. To see the latest innovations in LED technology for cannabis cultivation stop by at booths #3468 and #4243 (Valoya and IGE, respectively).